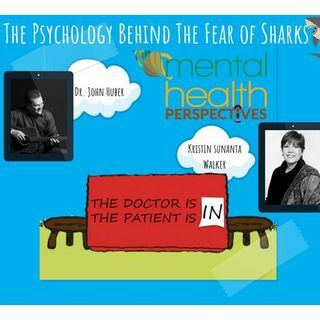 Join Dr. John Huber of Mainsteam Mental Health and Kristin Sunanta Walker of Mental Health News Radio with host Ryan McCormick of Outer Limits of Inner Truth podcast to discuss the psychology behind our fear of sharks! We also cover the new trend among people between the ages of 18 and 25 filming themselves jumping out of moving cars and dancing. What in the world? This is our weekly short show on what's going in the news that affects mental health!